Mon works both as a photographer and as a maker, layering images with collage to create hand crafted wearable art and home decor artworks: PRINTS: Striking images that will add a splash of colour and identity to your home. Printed on archival paper/inks, lasting for a 100 years without fading. CANVASES: A collection of canvases which are loved by everybody and perfect for a statement artwork for every home. A square metre piece for a really affordable price, will look stunning in your bedroom, living room or work space. VISITING BYRON? Come to visit Mon's studio shop in the Arts and Industry, 12/18 Centennial Circuit, Byron Bay. A beautiful space where to get the perfect gift to remember your visit to Byron. 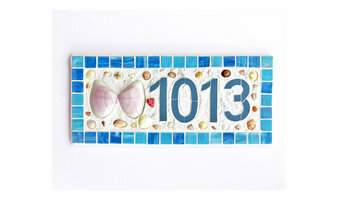 Custom-designed Mosaic House Numbers, Signs and Murals. Jewelry Storage Solutions. ikLe is a curated collection of art, design, decor, fashion and jewellery. Purchase gorgeous products for all purposes direct from some of Australia’s best designers, makers, artists and artisans. 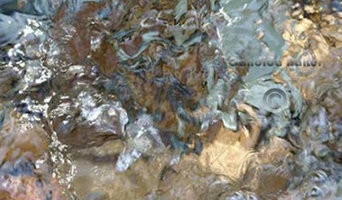 Photography specialising in movement, landscape, nature, abstract art photography and horses. Providing Antique Mirror Glass for both the residential & Commercial markets. Byron Bay Turning is about turning wood into art. We make bespoke pieces with a view to realise the ideas of our clients. Be it a giant Red Gum burl bowl, a formal dinning table and chairs, a jewellery box, an Island bench top , a table from recycled timber, Japanese screens or a document box from fiddle back Australian Red Cedar all carry the influence of their owners. Australia's premier graphic impressionist. Lose yourself in Solveig's nature-inspired original artwork. 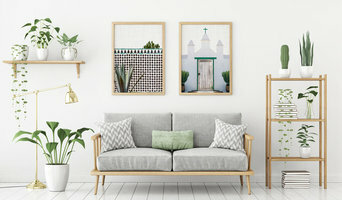 At Casbah Design we offer a unique and individual collection of framed prints for you to beautifully decorate your home with. 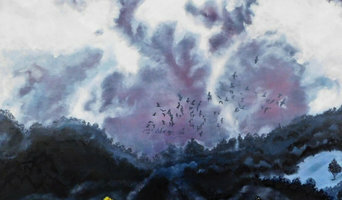 Many of our images are exclusive artworks by our resident artist Jennifer Hunt. Jennifer takes her inspiration from her many travels with husband Anthony and displays a clear aesthetic in her work that continues to be popular with interior designers and DIY decorators alike. As well as our original works, we also source elegant images from rare and diverse collections around the world. Framing is designed and selected to compliment our images. Integrity Candles are a group of friends from Byron Bay who make one of a kind candles. Well Wax Lanterns. The lantern are designed using fire and flame and are all unique. One of a kind pieces. Whether you’re looking for a fun and functional piece, such as ceramics or pottery, or prefer murals and decorative painting, you’ll find many Bexhill, New South Wales artists, muralists and artisans on our Professional pages, ready to include you in a creative process that will result in a stylish and personality-filled home. There are a wide selection of Bexhill, New South Wales artisans listed on Houzz, including muralists, painters, ceramic artists, potters, ironworkers, photographers, sculpturalists, designers of decorative glass, metal wall art, abstract art, home accessories, and more. Even everyday items such as tableware, tiles, splashbacks, lampshades and bedheads can be handcrafted, painted or designed by an artisan. You will also find artisans who specialise in bespoke designs, as well as those who offer artwork consultancy. Find artists and craftsmen on Houzz. Peruse portfolios in the Professionals section to find abstract, traditional, and contemporary artists in Bexhill, New South Wales. Read reviews and contact artists directly to ask them more about their work.